Newsletter from Blackshaw Environmental Action Team (BEAT), www.blackshawbeat.info, January 2015. 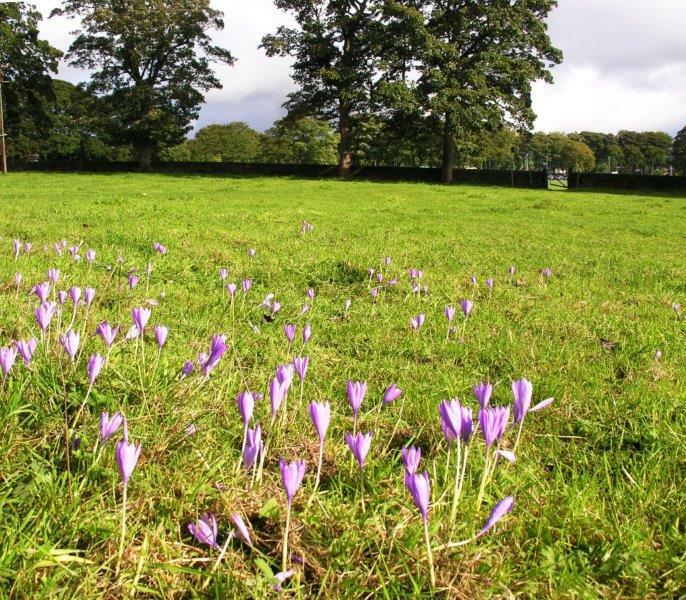 Steve Blacksmith, the chair of Halifax Scientific Society/Calderdale Wildlife, http://halifaxscisoc.org/, will talk about Autumn Crocus. See Steve's article elsewhere in this newsletter. Olivia Walter, Wildlife Vets International, www.wildlifevetsinternational.org will be speaking on The Role of Zoos in conservation. As wild lands are under ever increasing pressure, the boundary between wild and captivity diminishes and endangered species face new threats. 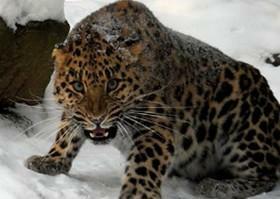 “Zoos” play an important role in saving endangered species in multiuse landscapes. Roger Munday will talk about Science and religious belief – conflict or common ground? How can a rational, scientifically-literate person today sincerely believe in a supernatural, interactive God? Surely science will ultimately be able to explain everything. Are there not now more grounds than ever for doubting the existence of God? But if so, why are some significant scientists also devout Christian believers? Roger is the lay pastor/preacher at Blackshaw Head and a former architect with a particular interest in the conjunction of the physical and the spiritual in church architecture." From Durham University we have Ben Campbell, who will be speaking on ‘Climate Change, Energy and Culture: global lessons for local practice’. Ben is an anthropologist with a strong interest in mountain and upland societies around the world. He has worked in the Himalayas on subsistence agro-pastoralism, and indigenous environmental knowledge. He is a lecturer at Durham University, and has made two films on 'Shamanic Pilgrimage' and 'The Way of the Road' in northern Nepal. He brought two friends from Nepal to Cornholme in 1998, where they made terraces which he continues to cultivate as a WWOOF farm. Thanks to Geoff Tansey for his talk on 13th November. Geoff explained at the end of the meeting that if you want to help as a citizen scientist monitoring one tree every year you can go to http://trackatree.bio.ed.ac.uk/. The £30 collected at the meeting has been given to Todmorden Food Bank. On a rather misty 15th November BEAT arranged a second walk to look at fungus with Alison and Peachysteve sharing their great knowledge. Among some of the strangest ways that some fungus spread their spores is when they attach the spores to insects and change the insect’s behaviour. 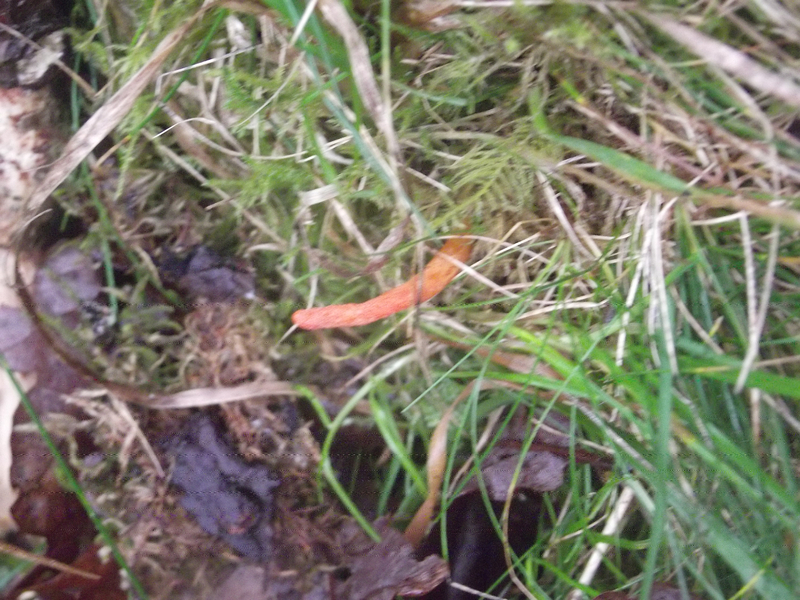 One type of fungi gets the larva to go into the soil where it dies and the fungus then grows out to the larva’s brain as an orange stalk – see picture above. Another fungus infiltrates a fly and encourages it to go to the top of a tree with its bottom up in the air and the head down – to ensure its spores get spread over as wide a distance as possible. 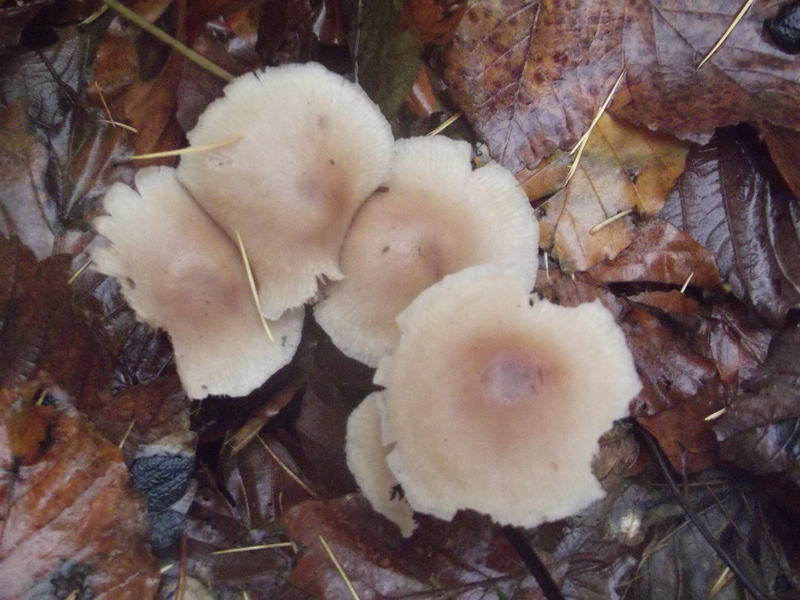 Some fungus wants to get eaten by animals so the spores get spread with the animals’ faeces. 19 people came for the walk. Many thanks to Alison & Peachysteve. The matched funding from LocalGiving.com which started in September 2014 came to an end in November when the £500,000 central fund had all been used to match up. A big thank you to everyone who has made donations to BEAT, either via our website or at our public events. In this round of matched funding BEAT has so far received £92.31. The next campaign will run on Wednesday the 28th January, when localgiving.com will randomly select 1,000 £5 donations made on the day to be boosted by an extra £5 of match funding. For the chance to benefit, simply donate £5 through BEAT’s Localgiving page on the 28th of Jan. There will be a repeat £5 matched funding on Wednesday the 25th February, providing another chance for you to support BEAT’s work! You can of course donate to BEAT all year round and have it Gift Aided (another 25%) if you go to http://localgiving.com/charity/beat. The Autumn Crocus flowers appear between mid- September and mid-October, and come up in the grass, or the leaf mould under trees with none of their leaves, hence nudiflorus. 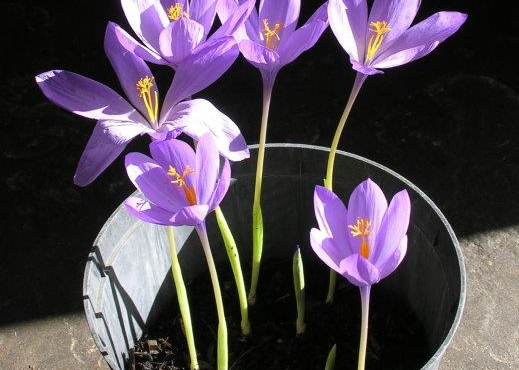 They are a strong purple, with, if you’re lucky to catch them in warm sun, prominent golden yellow stamens. Their “stem” is a long white corolla tube which Crocus has instead of a conventional stem. The ovary remains underground. The leaves can start appearing as early as November, but are at their full length in spring. They make swards of greenery, looking like grass, because they come up from a dense underground mat of rhizomes and corms. Some sites we have lost or not relocated are at Great House, Todmorden; another at Hubberton; and the third was said to be on the left bank of the Calder, above the bridge at Brearley. Confusion is compounded by the common name for Colchicum, Meadow Saffron. The spice only comes from crocus species. All parts of Colchicum are strongly toxic, though it is being investigated for medicinal uses. Saffron, once the most expensive spice, was used in medicine, dye, ink for manuscripts, and later as a food colourant/flavouring. The use of our local Crocus as a source of saffron is conjectural, though it was obviously cultivated in fields for some reason. C.nudiflorus is a true crocus, with three, not six stamens as Colchicum has, and is one among a handful of species that flower solely or partly in autumn. In the 1950s there were 23 sites known, but the Halifax Scientific Society surveyed from 2003 to 2009 and increased the recorded sites to about 37. The earliest record is in James Bolton’s Flora of Halifax, when in 1775 he noted a patch in Well Head Fields, which remained as fields up to the 1990s. They are now in someone’s back garden, and I don’t know how they are faring. This is opposite the Shay Football Ground in Halifax. The survey culminated in a booklet “The Mystery of the Autumn Crocus” which I produced with a grant from the Green Business Network. This included some practical conservation work as well. Some of the old colonies have been broken up into smaller ones, but we did add some more colonies to arrive at the increased total. The combined number of blooms, though, must be greatly reduced from the 19thC, and even the 1950s, so it is definitely a plant of conservation concern. The20 page booklet with colour photos is available from Halifax Scientific Society price £5.00, all of which goes to the Society. Or by post, see our blog at Calderdale-wildlife.bogspot. 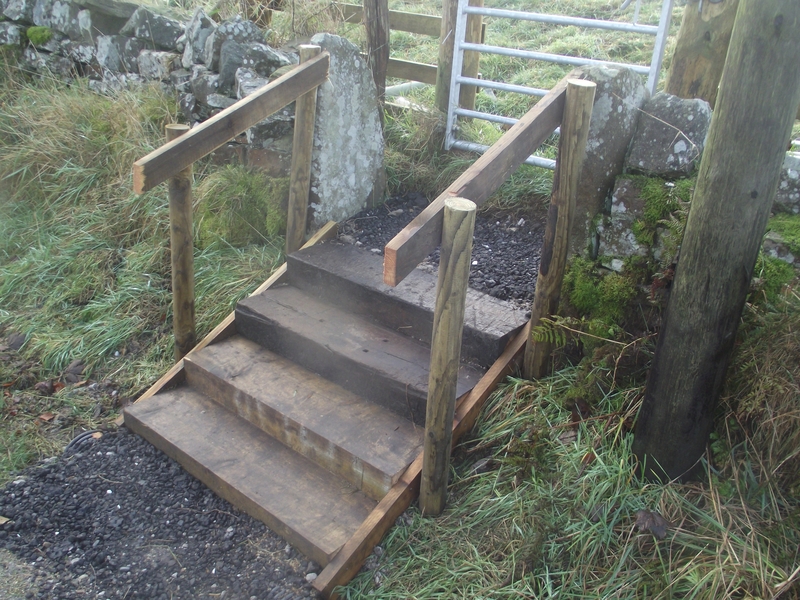 We have now created steps at the entrance to the site on the land belonging to Garry & Carol King. The picture above shows how the entrance is now much safer. 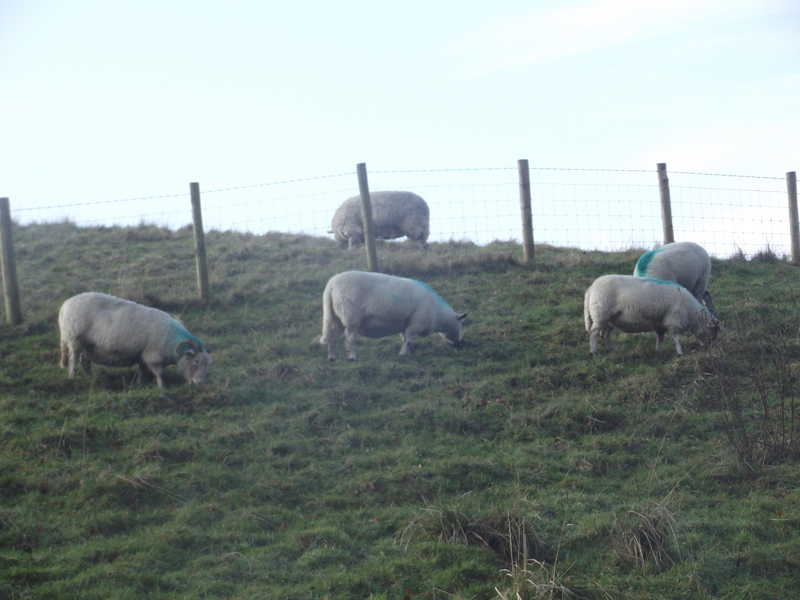 We have also had the lawn-mowers out to reduce some of the grass growing on the site – see picture of the white ‘lawn-mowers’. This will help us once we start planting the grafted fruit trees on Sunday 1st March. BEAT will also buy different plum trees from Incredible Edible Farm in Walsden that we will plant at the same time as the apple trees. Deer guards for the fruit trees have been bought from Forest and Land, a Blackshaw Head business run by Matt Taylor. Mark Simmonds is acting as a consultant for BEAT on this project. Treesponsibility will let BEAT use some of their tools (spades, etc). Calderdale Council will be delivering a van full of wood chips to the site free of charge. Many thanks to all of them for their help. Planting of fruit trees on the land belonging to Carol & Garry King will take place on Sunday 1st March at 10 AM. You are very welcome to come and give a hand for an hour. Children are welcome too if supervised by an adult. You can walk to the site from the New Delight Inn (Newdy) in less than five minutes. Just go along the road next to the red telephone box at Jack Bridge, which runs along the stream uphill. If you have not planted trees before there will be people present to show you how to do it. BEAT is covered by an insurance policy. If you do not know where the site is go to the New Delight Inn and walk from there as it will only take a few minutes to walk to the site along the stream where the red telephone box is. If you have a spade or can borrow one please bring it along. Do not worry if you cannot bring a spade as we have spare ones. If you do not like digging you can put newspapers around the planted trees with a hessian mat on top to act as mulching. You are also welcome to bring newspapers and magazines on 1st March – even if you cannot participate in the activities. If the site is covered by heavy snow or rain on the day we will postpone the tree planting. If you want to check in advance email finn.jensen@rocketmail.com or phone 01422 846863. After the tree planting BEAT will be providing vegan soup with bread and a drink (beer, wine, tea, coffee, hot chocolate or juice) at the New Delight as a thank you and to warm you up again. This will also give you a chance to ask questions to experienced fruit growers if you are considering planting fruit trees and bushes in your garden. Once the community orchard provides fruit, members of the community can help themselves to fruit but only for their personal use. Surplus will be given to the food bank in Todmorden and to Great Rock Coop. BEAT has received a grant of £500 from the Ward Forum. Many thanks for this support. The grant will help us with the community orchards, village clean-ups, etc.